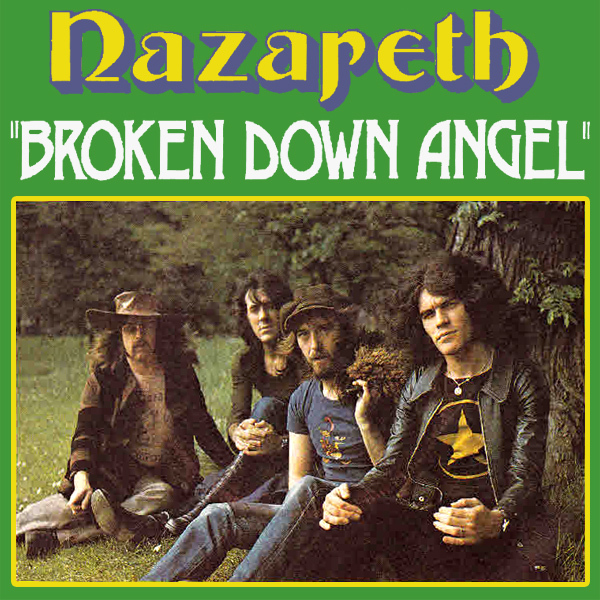 Back to the wintery remixes as we consider Broken Down Angel by Nazareth. Not only does the name of the band have biblical connotations, but the title does too, because it mentions angels which is one of our favorite topics. On the original single cover artwork we find nothing more than the band members. On the remix we find a babe whose car appears to have broken down. We know this as she is attempting a push start. If we may offer her some advice, it may have been more sensible to do this wearing clothes and more sensible shoes than high heels (especially in the snow). Just sayin' is all.